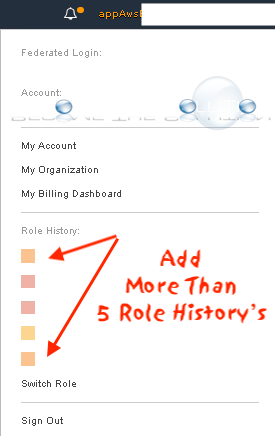 By default, the Amazon Web Services (AWS) management console only remembers a maximum of 5 role history’s. If you are wanting to save more than 5 AWS accounts or roles in your AWS console history, try the following options. Create a bookmark for each role in the following format below for your web browser. Replace the numbers and names as necessary.